A weeknight dinner that takes about 5 mins to prepare and 15 mins to cook. 2 pieces for dinner, 2 pieces for lunch. The recipe I found uses butter, but I used canola oil. You can substitue butter for better taste. In a bowl, mix brown sugar and cinnamon. In a saucepan, add oil, cook pork chops for 4-5 minutes on each side. Sprinkle salt on each side. Remove from pan. Add oil to pan. Stir in apple, pecan and the brown sugar mixture. Cook and stir until apples are tender. About 4 min. 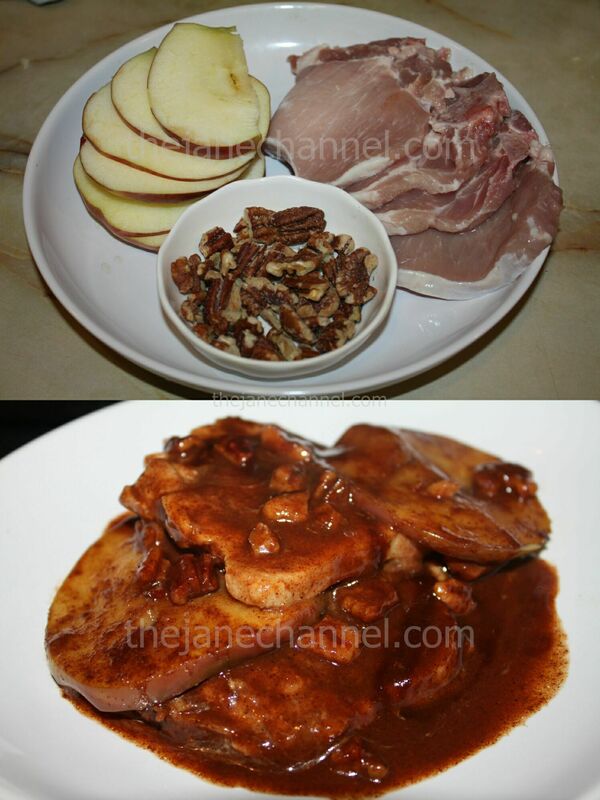 Combine pork chops and sauce on a plate. Ready to serve!